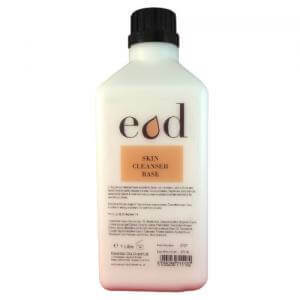 Unfragranced cleanser base suitable for facial use. Contains a blend of oils and moisturisers to gently cleanse the skin. Colour solutions, fragrances, essential oils, essential oil blends & botanical extracts may be added to create treatments for specific conditions. Paraben and MI free. Directions for use: Apply to face and eye contour areas. Ingredients: Aqua, Glycine soja Oil, Stearic Acid, Cetearyl Alcohol, Butylene Glycol, Lactuca sativa Leaf Extract, Cucumis sativus Fruit Extract, Tilia cordata Flower Extract, Salvia officinalis Leaf Extract, Helianthus annuus Seed Oil, Tocopherol, Caprylyl Glycol, Decylene Glycol, Carbomer, Triethanolamine, Alcohol Denat, Phenoxyethanol. Against Animal Testing: It is confirmed that this product and the individual ingredients in this product, have not been the subject of animal testing or retesting since 31 December 1990.